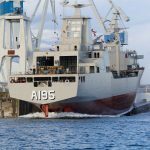 Navantia has launched today the first AOR (auxiliary oiler replenishment) ”Nuship Supply” of a series of two, for the Royal Australian Navy, according to contract signed in May 2016. 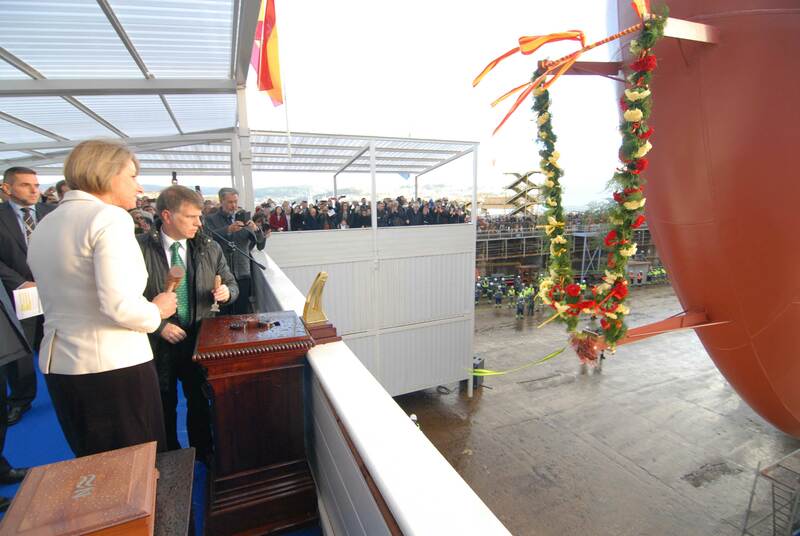 The ceremony was held at the Ferrol facilities at 4:15 pm coinciding with the high tide, and has counted with the attendance of Mrs. Jenny Barrett, as the godmother of the ship, the president of Navantia, Susana de Sarriá, the Ambassador of Australia to Spain, Julie-Ann Guivarra, and the Royal Australian Navy Chief of Navy, VA MJ Noonan. 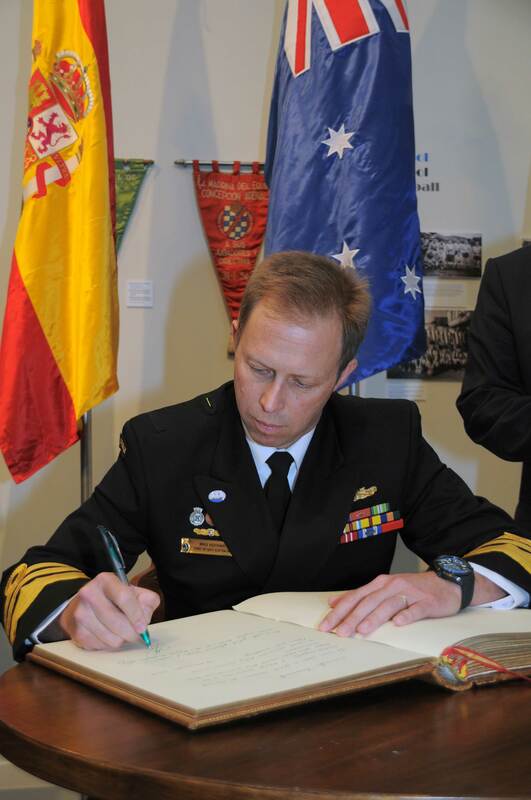 The president of Navantia was grateful to the Australian Navy for the confidence deposited in the Company that once again has demonstrated the aptitude to design and build the products and services for the most competitive markets, in time and quality. 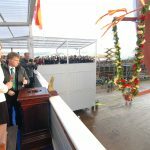 She added that launching a new ship, means that Navantia shows, once again, an enormous potential and with the upcoming Strategic Plan and the F110 frigates, will guarantee supporting these capacities in the future. The two ships are based on the Spanish Navy ship “Cantabria” which will be tailored to fulfil specific Australian standards and requirements. The agreement with the Commonwealth of Australia also includes the sustainment of the two AOR ships for a period of five years. 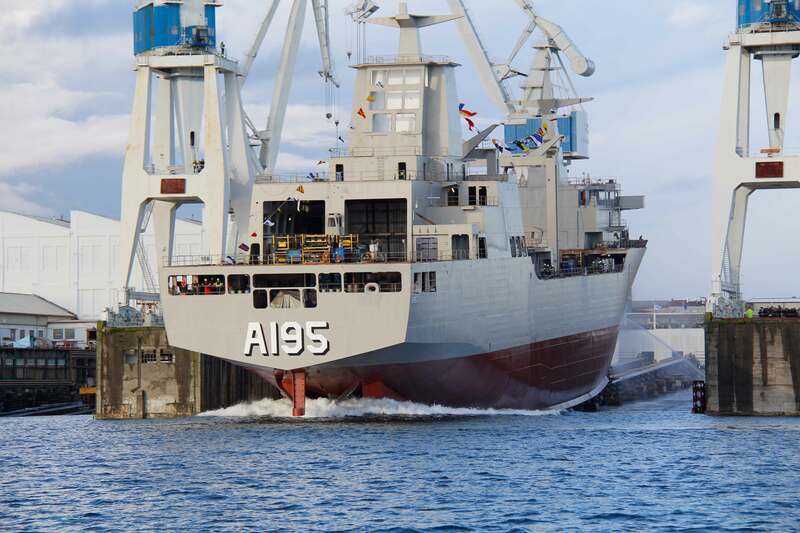 This contract means a workforce of 3 million hours for this area, as well as 35,000 hours for the Cartagena shipyard derived from the engines, and 35,000 for Navantia Sistemas derived from the IPMS. That makes a total of 1,800 jobs until 2020. Besides, this contract includes a significant amount of participation from Australian industry, with companies such as Raytheon as supplier of the Communication System, Saab Australia as supplier of the Combat System, Scientific Management Associates (SMA) as suppliers of engineering services and Baker and Provan as supplier of cranes. 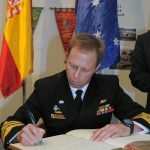 In relation to Support, all the sustainment activities will be performed in Australia (NSW and WA) with Navantia Australia and its subcontractors, which has been partnering with Australian companies since 2007.